It is late, there is no matching power adapter or cable at the reception. But I need to charge the batteries. In the old days I always traveled with a Swiss Army knife, but this is not easy any more because of air travel safety :-( Things are sooooooo easy for a McGyver because he *always* a Swiss Army knife with him! Hmm: A dirty trick would be to cut the ground pin on the power cable, but that’s hardly impossible with the right tools, sitting in a room at night-time. But what else can I do? 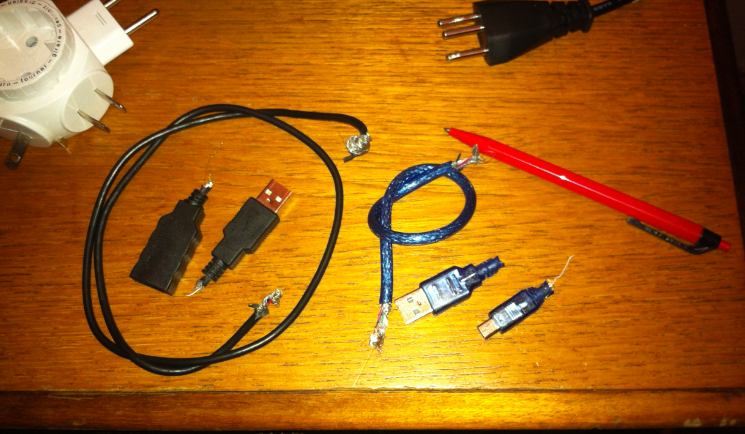 USB cables are usually specified for 500 mA, and my notebook power supply rated for 1.2A. I’m using all wires of the USB cable, including the shielding, so things should be OK. 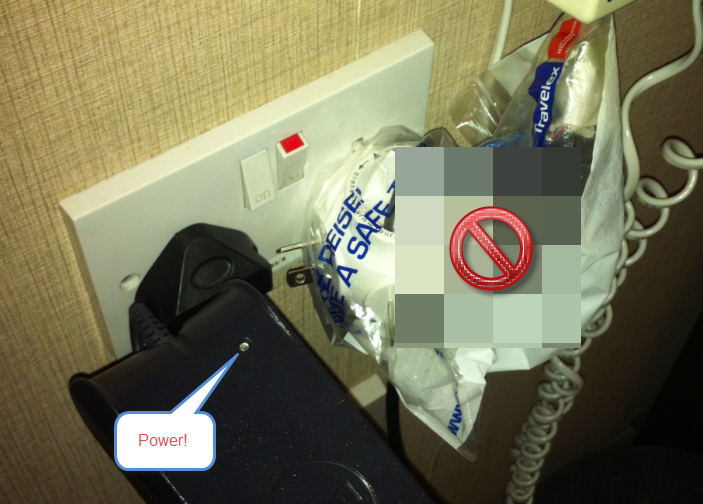 WARNING: Mains voltage (230V in this case) means danger and can create a deadly electric shock, or fire, or both! Don’t do this. Do NOT try this! Seriously! You have been warned! I don’t share too many details, as I don’t want that someone stupid tries to replicate this. Be assured that I did all the precautions and safety handling possible, carefully isolating and wrapping things for good contacts and protection! Finally it is powering the notebook power supply :-). I carefully monitored the charging, always ready turn things off and to pull the plug. With the batteries were fully charged, I disassembled everything again. I had to sacrifice my two USB cables, but I have full batteries again. 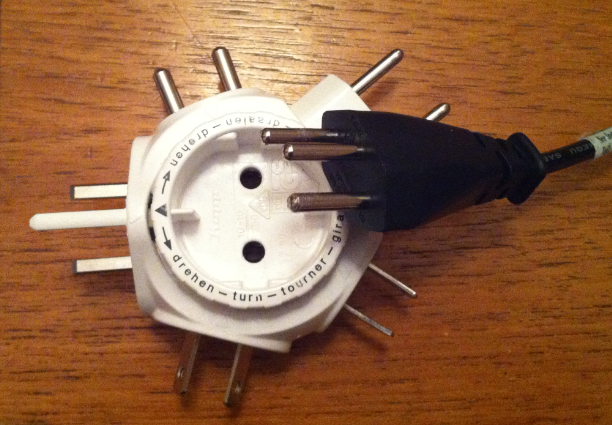 But it would be so good if the world would have standardized on a single power connector….